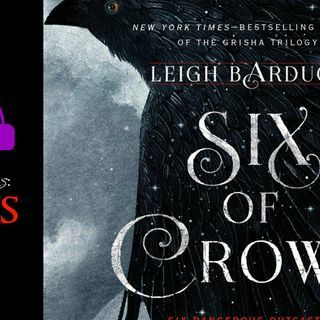 Hello everyone and welcome to the newest episode of Six Of Crows! I'm excited because this episode is a Wannabe level, which means that Grisha Superfan Liz Brinnehl is here with me to talk about these chapters! The chapters have grown shorter and more intense, so this one episode covers about 5 chapters (I believe, don't quote me) and bounces around through a lot of different POVs and situations. I'm actually really enjoying watching the carefully laid plan fall apart because it ... See More really reveals what all of our character's weaknesses are. Thank you so much to Liz for joining me in this one, and I hope you all enjoy the show!